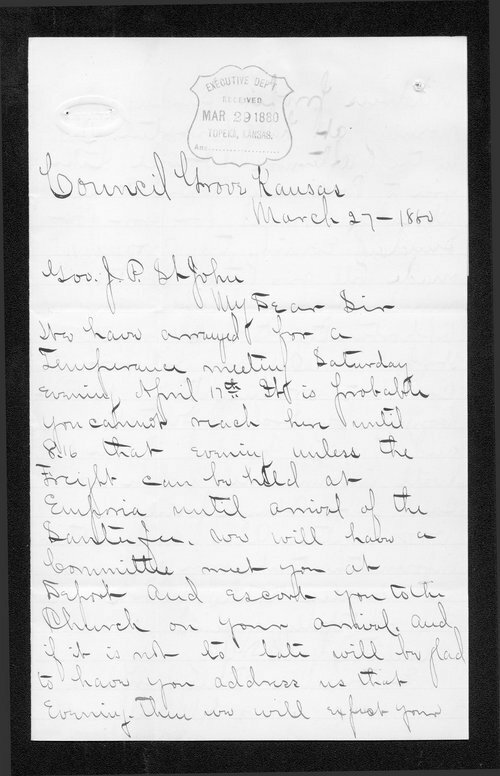 In this letter, J.M. Miller explains the details and logistics for Kansas Governor St. John's April 4th visit to Council Grove, Morris County, Kansas. Miller took the liberty to arrange a very busy speaking schedule for the Governor.